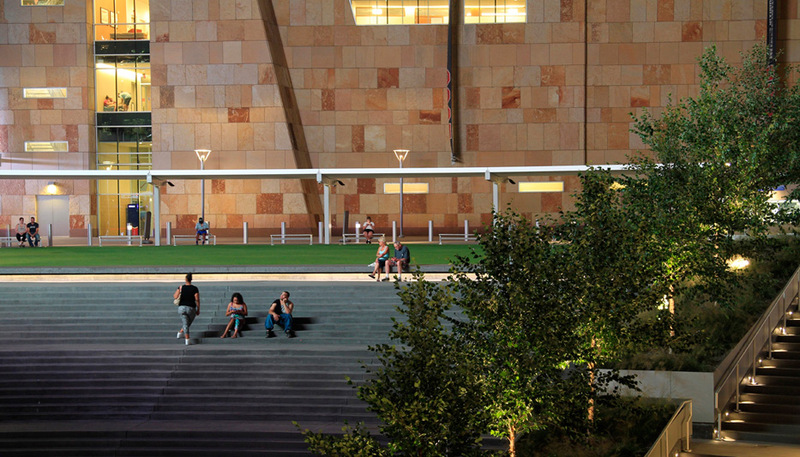 Adjacent to Target Field, the Interchange is a fully integrated multi-modal transportation hub and community gathering space in downtown Minneapolis. The station links light and commuter transit networks with the local city bus system as well as biking and walking trails. 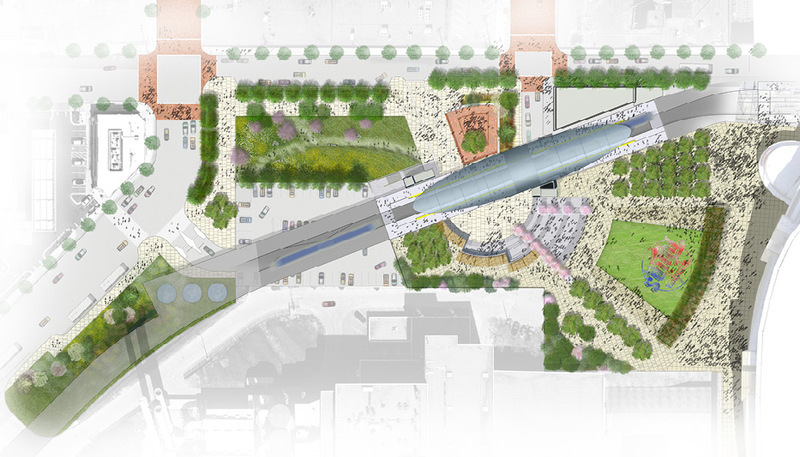 The Interchange includes an urban plaza with a large lawn and small amphitheatre that can accommodate a variety of community and pre-game events. To ensure the plaza is also comfortable and intimate during non-events, the tree layout, ornamental planters, and custom pergolas create smaller outdoor rooms that mitigate the large scale of the stadium facade. Below the plaza is a new parking structure that accommodates over 250 cars while hiding them from view. Two elements of the green infrastructure program include harvesting, storing, and reusing a portion of the site's stormwater; and recycling of steam from the neighboring Hennepin Energy Recovery Center to help heat a snow melt system embedded within the paving and stairs. Scott Dismukes was the lead project manager while an Associate at OLIN from the initial competition concept through design development including directing all visual communication, technical documentation, and financial management.